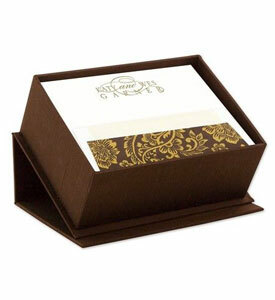 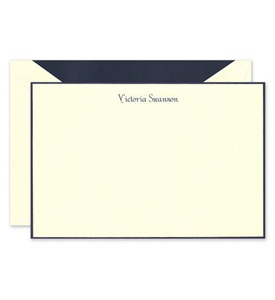 Express your feelings of gratitude with this stylish note card. 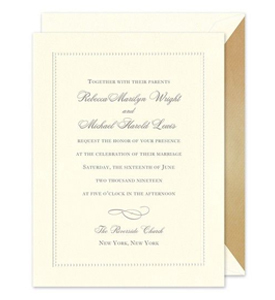 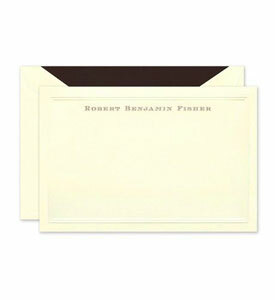 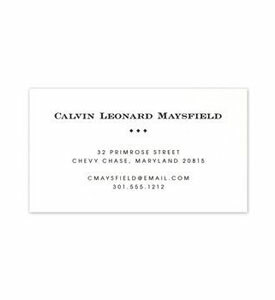 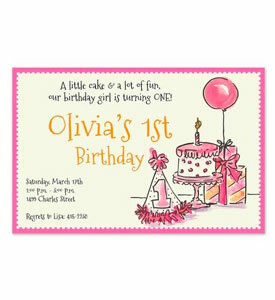 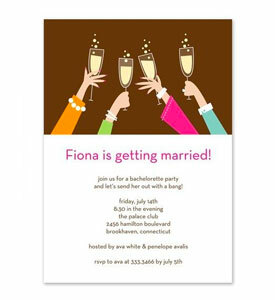 Your personalized text is printed on the front flap, while the inside remains blank for a handwritten note. 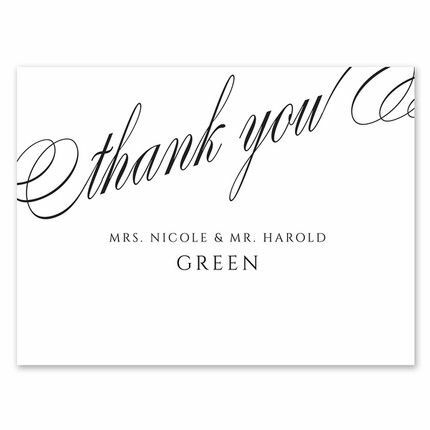 “Thank You” is preprinted in elegant black script.